Are you looking for a hydraulic hose? Published on 13 February 2019 in Holland Hydraulics. Holland Hydraulics B.V. is a specialist in hydraulic drive technology, since 1994. We supply components, systems and turn-key solutions to the specific requirements of our customers. This has probably been known to you for a long time, but did you know that we also assemble hydraulic hoses? 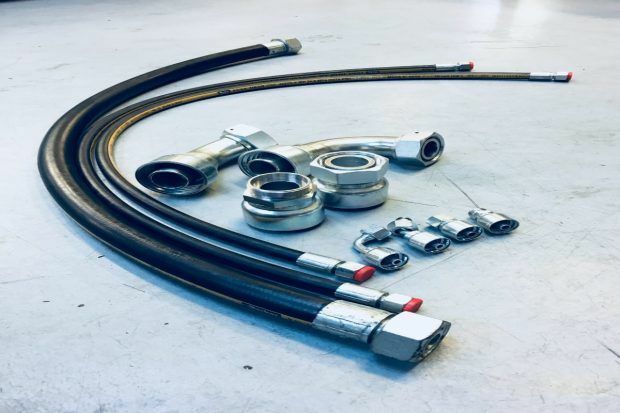 Holland Hydraulics B.V. has a wide range of hydraulic hoses and couplings for the connection of your systems. We keep a stock of hydraulic hoses varying from DN4 to DN40. Wether it concerns new assemblies or repairs, a single hose or series, we can be of service. At our counter, single hoses can be pressed and assembled while you wait. Larger quantities can usually be delivered within 24 hours. This will help you to keep the possible downtime to a minimum. We assemble the hydraulic hoses with the greatest care and with extensive attention to quality. Each hose assembly is provided with a unique number, so the same hose can be easily identified and ordered in the future. Any questions about the assembly or repair of hydraulic hoses? With us, you are assured of expert advice and assembly.